Precisa is fast becoming one of the world’s leading manufacturers of thermo-gravimetric analysis equipment. 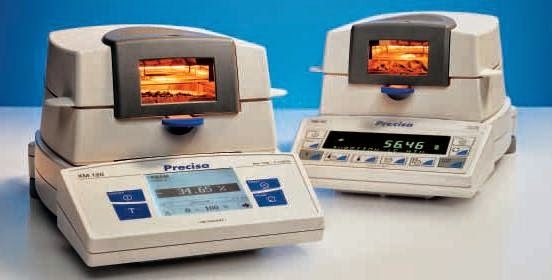 The new Precisa XM120/XM60 moisture analysers are based uncompromisingly on the ultimate weighing technology. Precisa instruments are market leaders in language-independent user guidance, time optimisation and quality assurance. Precisa supports users with our own laboratories in the Far East and Europe.